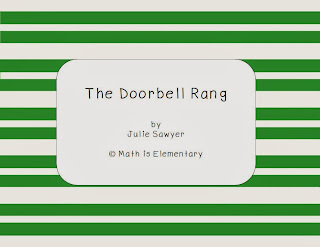 "The Doorbell Rang" by Pat Hutchins is an awesome way to introduce division to your students. Grab this packet to get character cards for telling the story and some word problems for students to work out. Click on the picture to go to my blog and download it.